SecurityCenter is an enterprise level vulnerability management product of Tenable Network Security. As the name implies, the it is designed to be the center of Tenable security infrastructure. 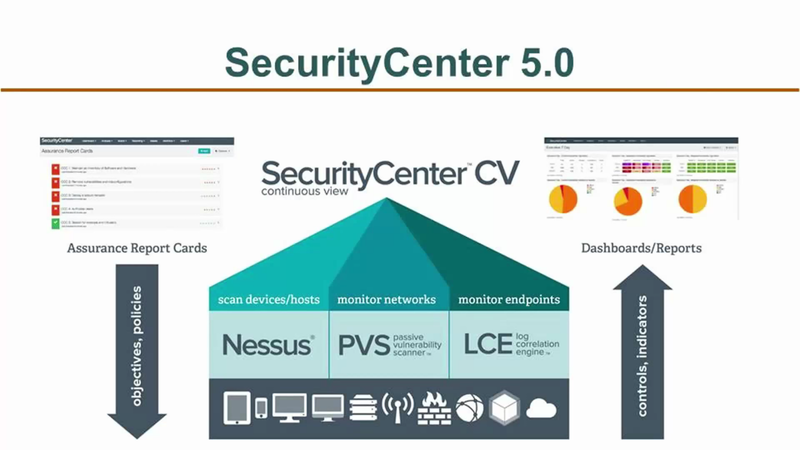 SecurityCenter takes data from other Tenable products: Passive Vulnerability Scanner (PVS), Log Correlation Engine (LCE), Nessus, and provides a powerful GUI interface for searching and reporting. Sounds familiar? 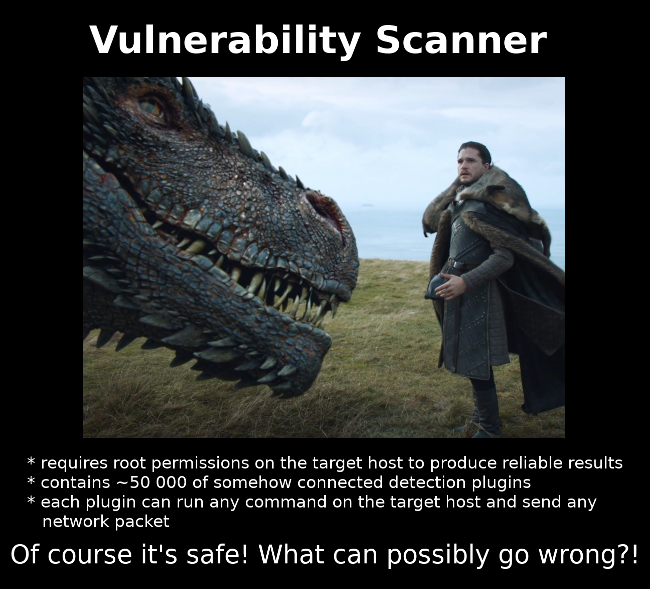 Well, yes, it is something like SIEM, but with a strong emphasis on Vulnerability Management. I’ve took this screenshot from SC5 video presentation in Spanish. In this post, I certainly will not fully cover SC functionality and all the features of its API. I just would like to pay tribute to a convenient asset mechanism of SecurityCenter and show very basic operation of SecurityCenter API: retrieving the results of the vulnerability scanning (as I did it for Nessus in “Retrieving scan results through Nessus API“). This entry was posted in API, Compliance Management, Vulnerability Management and tagged Asset Management, dashboards, Nessus, scan, Tenable SecurityCenter on August 14, 2016 by Alexander Leonov. Another nice thing about Nexpose is that this vulnerability scanner has an open API. And even free Nexpose Community Edition supports it. It’s a really generous gift from Rapid7. That means that you can use Nexpose to scan your environment, easily manage it from your scripts and make any vulnerability assessment and remediation logic you need. I haven’t found manuals about using Nexpose API to automate basic vulnerability management tasks and decided to write my own. Hope somebody will find it useful. All examples will be in form of curl requests. Working with Nexpose API is nothing more than sending xml Post-requests to the https://[Nexpose Host]:3780/api/[API Version]/xml and receiving xml responses. 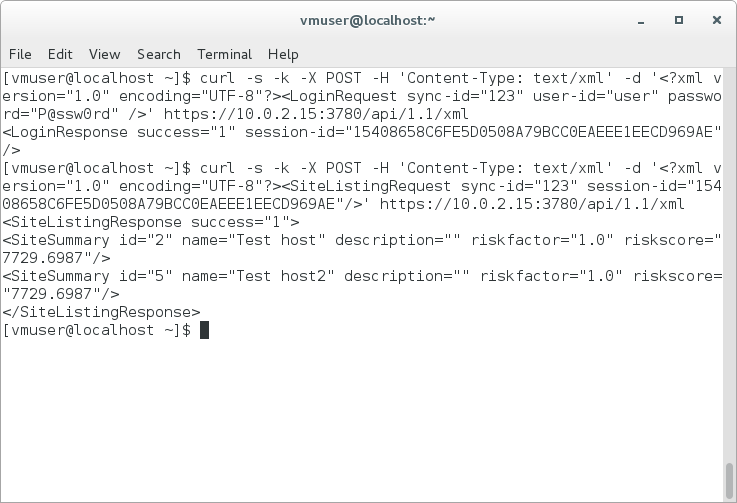 This entry was posted in API, Vulnerability Management and tagged Nexpose, Rapid7, scan on February 3, 2016 by Alexander Leonov.